The empirical underpinnings of Bringing Them Home derived largely from the work of white academic historians. The Human Rights Commission did no serious research of its own into the primary historical sources. Co-authors Ronald Wilson and Mick Dodson also declined to hear any evidence that might have contradicted their preferred interpretation. They did not call witnesses from the many still-living public officials responsible for child removal to hear or test their reasons for their policies and practices. The Commission’s only original contribution was to solicit the testimony of 535 Abo­riginal people who had been removed from their parents and who spoke about their own experiences. While many of these stories were completely believable in what they said about what happened and how they felt, it is nonetheless true that when these witnesses were children they were not in a position to comprehend the question at the centre of the accusation of genocide, the motives of government policy-makers. Moreover, some of these informants made claims that should never have been published. In Bringing Them Home, the anonymous “Jenni­fer” claimed one child at the Cootamundra Girls Home was beaten to death by the staff, who then secretly disposed of the body. As Chapter Five argues, this assertion deserves no credibility whatsoever and, indeed, was a malicious defamation of the matron at the time, Miss Emmeline Rutter. History books have reproduced other tall tales from allegedly stolen children that could not possibly be true. One gave a vivid first-hand account of 500 children supposedly rounded up in 1938. The alleged aim was to remove all the half-caste children in the Kimberley district to the West Australian government’s Moola Bulla station. However, as shown in Chapter Eight, the entire population of half-caste people in the Kimberley at the time, adults and children, amounted to just 500 and the station’s records of the full-blood and half-caste children it accommodated and fed at Moola Bulla that year numbered only sixty-one; most of them had been sent by their parents to go to the station’s school. Some of the most celebrated books by Aboriginal authors about supposedly stolen children also provide serious grounds for contention, especially the works of Margaret Tucker and Sally Morgan. These and other stories told by well-known Aborigines Lowitja O’Donoghue and Charles Perkins are discussed in Chapter Six. I also discuss there the influence of the Communist Party of Australia, which few people realise played a key role in making some Aboriginal authors famous. The idea that the removal policies had a racist component and were aimed at ending Aboriginality did not originate in Aboriginal testimony. Indeed, until the term “stolen generations” first appeared in 1981, there had been no popular tradition among Aboriginal people that employed either the term or the concept. In the 1910s and 1920s, parents on some state-funded Aboriginal stations in New South Wales and South Australia did disagree with the government finding employment for their teenage children as four-year indentured apprentices. But these complaints were not about the removal of babies or young children. Moreover, these parents knew their children would be gone for a fixed term and then return. The person who initiated the idea that the government wanted to destroy Aboriginality was a then unknown white postgraduate history student, Peter Read. He alone was granted the vision denied to all who came before him. In the course of just one day, he wrote a twenty-page pamphlet to make his case. His original title was “The Lost Generations” but his wife advised him to substitute the more attention-getting adjective, stolen. Read’s publication, The Stolen Generations, was published in 1981 and was noticed within social policy and legal circles, but not much else. The critical turning point in the attitudes of Aboriginal people did not come until two years later. Read’s colleague in the Link-Up social work organisation, Coral Edwards, addressed a meeting of the National Aboriginal Consultative Council to ask for funding for their new service. To the forty, mostly middle-aged Aboriginal community leaders, who until then had been ignorant of any racist separation policy, Edwards’s speech came as a bombshell. Mothers had not voluntarily given their children away, she said. Rather, “the govern­ments never intended that the children should ever return”. It is not difficult to understand the immediate appeal of such an explanation to many Aboriginal families, especially to those who had grown up on welfare communities and segregated housing estates with high rates of crime, alcoholism, domestic violence and child abuse. This new version of events was deeply comforting. The myriad problems in their own lives no longer derived from the failings of their families or the bad choices they made themselves. Mothers had not given their children away, fathers had not left their children destitute or deserted their families or been so consumed by alcohol they left them vulnerable to sexual predators. Siblings and cousins had not abandoned their communities because they thought their way of life hopeless. Instead of reproaching themselves, Aborigi­nes could suddenly identify as morally innocent victims of a terrible injustice. Their problems could all be blamed on faceless white bureaucrats driven by racism. Read’s interpretation has since come to be believed by most Aboriginal people in Australia. My examination of the 800 files in the same archive found only one official ever wrote a phrase like that. His actual words were “Being an Aboriginal”. The Board stated quite openly in its reports and minutes that it intended to reduce the birthrate of the Aboriginal population by taking adolescent girls away from their communities. Then it intended that the young people taken in this way would never be allowed to return to their homes or to any other Aboriginal community. The ‘apprenticeship’ policy was aimed quite explicitly at reducing the numbers of identifying Aboriginal people in the State. [The Board’s] object is to save the children from certain moral degradation on the reserves and camps, and to give them a chance to reach maturity, after which they are given every facility to return either on holiday or permanently, according to their wish, to their own districts, where they are expected to take up suitable employment. Here they have an opportunity of meeting people of their own colour, and in many instances they marry and settle down in homes of their own. The board also defined its policy in very similar terms in its minutes of June 1919 and its annual report of 1925–26. Chapter Three quotes them in full and examines the board’s real objectives. In short, the board saw a period of apprenticeship as the key to gaining employment, and the best way for Aboriginal youth to get off welfare and live independent lives in the modern world. It wanted to put an end not to the Aboriginal race but to Aboriginal dependency. I say emphatically there are scores of children in the bush camps who should be taken away from whoever is looking after them and placed in a settlement, but on account of lack of accommodation, and lack of means and additional settlements, I am unable to exercise the power which the Act definitely gives me in this respect. In other words, instead of a declaration of intent to remove scores of such children, Neville’s full statement was actually an explanation why he could not remove them. As Chapter Eight shows in detail, he never had the funds to remove more than a handful each year. The same was true of the Chief Protectors in other states. None of them ever had enough money to remove all the genuine child welfare cases within their domain, let alone attempt as immense a task as eliminating the Aboriginal race. That did not mean, however, that Aboriginal institutions were as impoverished as historians have painted them. Though conceding that they were not as terrible as the mass extermination camps of Nazi Ger­many, historian Anna Haebich nonetheless claimed: “Aboriginal people in Australia’s refugee camps and gulags faced for a far longer period the daily reality of starvation, disease, chronic ill health and often early death.” It is true that the Moore River Settlement in Western Australia was a vermin-infested dump, and some of the remote missions in the tropical north ran short of food supplies in the wet season and during periods of prolonged drought, but they were not typical. The best Aboriginal stations had superior buildings and more amenities than many white working-class people in the outer suburbs and country towns at the same time. Some institutions for Aboriginal chil­dren had swimming pools, gymnasiums, tennis courts, film projectors, radios, record players, pianos and telephones decades before many white people. Chapter Five contains details. In the midst of the 1930s Great Depression, the New South Wales Aborigines Protection Board used unemployment relief funds to provide its La Perouse Reserve with new buildings designed by the Government Architect, to plant it with trees and shrubs from the Sydney Botanic Gardens, and to connect every home with fresh water and sewerage. The State Government Tourist Bureau thought so highly of the refurbished La Perouse it listed it with Bondi Beach among Sydney’s recommended visiting spots for overseas tourists. In the 1950s, the Church of England’s St Mary’s Hostel for Aboriginal children at Alice Springs, located in a former wartime recreation centre for servicewomen, was another model of its kind that attracted busloads of tourists. On top of the awkward fact that the Aboriginal population grew strongly throughout the period it was supposedly subject to genocide, there is another oddity about the Stolen Generations. Why did this not become a public issue before Peter Read emerged on the scene in 1981? If, as the Human Rights Commission claimed, its origins went back to 1910, why didn’t earlier Aboriginal activists make a fuss? At the high point of Aboriginal radicalism in the late 1960s and early 1970s, the attempt to put an end to Aboriginality by removing children never received a mention in any major agenda of Aboriginal political grievances. During the lead-up to the successful 1967 constitutional referendum to give the Commonwealth powers in Aboriginal affairs, not one of the political activists campaigning for reform mentioned stolen children as an issue to be rectified. In 1970, neither the ten-point Policy Manifesto of the National Tribal Council, nor the Platform and Program of the Black Panthers of Australia, nor the 1972 Five-Point Policy of the Aboriginal Tent Embassy at Parliament House, Canberra, or any other political manifesto of the time, mentioned stolen children, let alone the genocide that Aborigines had purport­edly been suffering for the previous sixty years. Aboriginal activists of that era proved very adept at gaining attention from the news media and very capable of articulating their case. Black Panthers spokesmen included Gary Foley, later a university lecturer, Paul Coe, subse­quently a barrister, and Dennis Walker, son of one of Australia’s leading literary figures. They and their colleagues were politically astute enough to mount the Aboriginal Tent Embassy on the lawns of Parliament House—an inspired piece of political symbolism—yet could not recognise the genocide and child stealing taking place right beneath their noses. A greater mystery is that some of the best-known of an earlier generation of Aboriginal activists had been in an even better position to see what was going on. In the 1940s and 1950s, William Ferguson, Walter Page and Pearl Gibbs actually served as directors of the Aborigines Welfare Board of New South Wales, one of the very organisations then committing the purported genocide. Yet they never realised what was happening. Of all people, they were the ones who should have identified it first. How could they possibly have missed it? If the Stolen Generations story was true, then at that very time, right across Australia, in all states and territories, scores of white welfare officials, backed by parliamentarians and senior public ser­vants, were forcibly removing Aboriginal children to put an end to Aboriginality. How did these hundreds of white people, for a period of more than sixty years, maintain the discipline needed to keep the whole thing so quiet that Aboriginal activists like Ferguson, Page and Gibbs were oblivious to its existence? Why did no one leak the truth? A conspiracy on this scale must have been the best-kept secret in Australian history. On these grounds alone, the inherent implausibil­ity of Read’s thesis should always have been self-evident. In presenting a more realistic version of this story, part of my task includes reassessing the reputations of those who worked in the field in those years. We need to know whether the white people who determined Aboriginal policies in the past, and those who provided direct-contact services to Aborigines—welfare workers, missionaries and other members of religious orders, police officers, nurses and matrons in children’s institutions, the managers of Aboriginal reserves and stations—deserve the status they now have. Historians today treat them as little better than the officers and guards at Belsen and Treblinka. They do this even though the historical record reveals that some of the most influential of them emerged from humanitarian organisations, religious societies and political movements that had long worked in support of indigenous peoples. As Chapter Seven demonstrates, although historians have misrepresented the roles of the Chief Protectors A.O. Neville in Western Australia and Cecil Cook in the Northern Territory, their careers as administrators nonetheless leave little to admire. But it is a very different story with most of those employed in the front line caring for Aboriginal children. The determination of some historians to destroy the reputations of the latter people is contemptible. Free from any risk of defamation suits from their now dead subjects, and speaking from the comfort of tenured university positions with six-figure salaries, academics such as Peter Read, Anna Haebich and Raimond Gaita have written of “the criminals who enacted the programs” and applied labels such as “sinister”, “hated”, “monstrous” and “psychopathic” to people like Emmeline Rutter, Ella Hiscocks, Sister Kate Clutterbuck, Sister Eileen Heath, Amelia Shankelton and Father Percy Smith who spent much of their adult lives under the same roofs and conditions as the orphaned, abandoned and unloved children they worked to save. Similarly, Colin Tatz, a professor of genocide studies, defamed the famous Aboriginal tenor, the late Harold Blair, by associating him with a scheme that ostensibly offered Aboriginal children Christmas holidays by the sea, but whose pur­ported secret agenda was to adopt them into white families. The Human Rights Commission’s inquiry treated such people unjustly. As I show in several places in this book, the Commission’s public hearings declined to call as witnesses public officials and welfare workers who could have contradicted its predetermined conclusions. The Commission only sought evidence that confirmed its prejudices. It only wanted to hear from those claiming to be stolen children and never gave their “captors” the chance to answer the charges. Yet when some of the latter who were still living came before properly constituted court hearings, they easily disproved the accusations. This was particularly true in the Northern Territory, as Chapter Ten demonstrates in its discussion of the failed test case of Lorna Cubillo and Peter Gunner. Some prominent Aboriginal people engaged in child welfare have been quietly airbrushed from history because their activities contradict the Stolen Generations thesis. One of them was Aunty Molly Mallett, a member of the Cape Barren Islander community descended from the Tasmanian Aborigines. As Chapter Eleven discusses, Mallett moved to Launceston where she provided government-approved foster care for orphaned and neglected Cape Barren Islander children. From the 1950s to the 1970s, she fostered so many she “lost count”. Even though she had far more experience than anyone else in the plight of these half-caste children, the Human Rights Commission’s inquiry never called her as a witness. Bringing Them Home declined to even mention her role, preferring its readers to believe the children were all placed with white families and in white institutions. Many of the politicians who decided Aboriginal policy in the period of so-called genocide were anything but faceless. By far the greater number of them owed their allegiance to the “progressive” or Left side of politics. One thing the university historians who established this story kept largely to themselves was that most of the legislation they condemned was passed by Labor governments. In New South Wales, the 1915 Aborigines Protection Amending Act, which allowed the Aborigines Protection Board to remove children without recourse to a hearing before a magistrate, was the work of the first Labor government in the state, headed by James McGowen and W.A. Holman. The Act’s 1943 amendment, which allowed Aboriginal children to be fostered out to non-indigenous families, was intro­duced by the Labor government of William McKell, one of his party’s favourite sons who later became governor-general. In Western Australia, A.O. Neville was appointed Chief Protector in 1915 by the state’s first Labor government headed by John Scaddan. The 1936 Act that purportedly entrenched Neville’s proposals for “breeding out the colour” was the product of the Labor governments of Phillip Collier and John Willcock. Not one of the historians of the Stolen Generations has ever quoted this statement. It disproved yet more of their claims about the genocidal objectives of Commonwealth government policies in the 1930s. Some prominent radical political activists of earlier eras were com­plicit in policies and activities that historians and the Human Rights Commission now characterise as racist and genocidal. For instance, in the 1967 constitutional referendum, one of the leading campaigners for the “Yes” vote was Faith Bandler, then a familiar figure in radical and Communist Party circles. 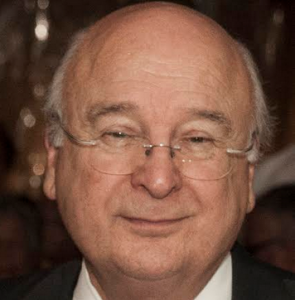 In January 2009, Prime Minister Kevin Rudd awarded Bandler Australia’s highest civilian honour, the Companion of the Order of Australia, for her work on behalf of racial minorities. It is not widely known today but in 1959 Bandler adopted an abandoned two-year-old Aboriginal boy into her non-indigenous family. She raised him until he was twelve. At the time, none of her Aboriginal political colleagues thought she was doing anything wrong. To accuse Bandler of committing a racial crime for this act, let alone being a party to genocide, would be absurd and offensive. We should offer the same presumption of innocence until proven guilty to everyone else who acted from similar motives, whatever their political background or racial origin. When their track records are examined more closely, many of those white people engaged in Aboriginal affairs a century ago become unexpectedly familiar. They were the religious and political evangelicals of their time, determined to do good works for others in order to give meaning and substance to their own lives. They bear an uncomfortable resemblance to the white lawyers, academics, social workers, journalists and political activists who do the same today. In short, accusers and accused are the same kind of people. The big difference is that those charged with crimes against humanity actually did something tangible to improve Aboriginal lives. Their accusers have offered only bogus history, feigned compassion, and empty symbolic gestures. Today we inhabit a censorious age in which the present generation presumes it alone has wisdom and virtue. We pride ourselves on our moral and intellectual superiority to all the generations before us. We assume the right to condemn the past for not sharing our currently fashionable moral postures. Nonetheless, all those in the past respon­sible for Aboriginal policy and child welfare still deserve a proper hearing, with their names and reasons fully disclosed so we can judge the decisions they took in the light of the prevailing attitudes and oppor­tunities of the time, as well as what we know about their characters through the full record of their public lives. Ultimately, however, it is the reputation of the nation that is at issue. Thanks to the determination of academic historians and state education curriculum boards, Australian schoolchildren have by now largely succumbed to the prevailing version of this story. Many have learnt to despise their own country for this episode and to be ashamed of the Australian past. Australians abroad are saddled with a reputa­tion for racism comparable to white South Africans in the era of apartheid. Aboriginal people themselves are taught the arrival of the Europeans brought so much violence and heartbreak they should never allow themselves to be fully reconciled to Australian society. The philosopher Raimond Gaita has claimed that, if the Bringing Them Home report is accurate, the case for genocide is over-determined. My book argues that the only thing over-determined is the case against genocide. Not one of the major contentions made by the Human Rights Commission, or the bevy of academic historians upon whom it relied, stands up to scrutiny. Bringing Them Home is probably the most unreliable and deceptive public document ever produced in this country. Unfortunately, it has also been one of the most influen­tial. It claimed to have uncovered a whole class of victims, children forcibly removed from loving parents whose lives were thereby ruined. In reality, the greater victims have been those generations of Aboriginal children who, thanks to the report’s subsequent influence on social workers, child welfare officials and children’s court magis­trates, have since been left too long in violent, destitute and sexually abusive families for fear of creating a “new” Stolen Generation. An historical fiction has created a real-life social catastrophe, whose appalling consequences are now verified by government and judicial inquiries, time after time. “For the pain, suffering and hurt of these stolen generations, their descendants and for their families left behind, we say sorry. To the mothers and fathers, the brothers and sisters, for the breaking up of families and communities, we say sorry.” Here was the word, used twice in two quick sentences by Prime Minister Kevin Rudd, that everyone in those ranked, packed galleries had come to hear. There was, quite audi­bly, the exhalation of breath. That same release—the hope of an expul­sion, really, of a national burden—could be felt across the country, in public gatherings before giant screens in places such as Melbourne’s Feder­ation Square and Sydney’s Martin Place, to clubs and parks in small towns and school classrooms everywhere. For all the reasons given in this book, I believe the parliamentary apology by Prime Minister Rudd in February 2008 was indulgent and unwise. In the short term, of course, the massive and favourable media coverage made it a public relations success for him and his govern­ment. It satisfied the millions of suburban voters who have always had goodwill towards Aboriginal people, who wanted racial reconciliation and an end to bad feeling over this issue. But in describing Aboriginal child welfare policies of the past as the “great stain” on the nation’s soul, Rudd not only defamed a great many people from his own side of politics, but did no favour to Aborigines either. He added further fuel to the politics of permanent grievance on which the hard men of Aboriginal activism have long thrived. The apology confirmed Aboriginal people’s core identity as victims of injustice rather than potential beneficiaries, like everyone else, of the prosperous, liberal, democratic, egalitarian society estab­lished here since 1788. It is clear, however, that my views on the topic are very much in the minority, and are likely to remain so for some time. The above account from Tony Wright in the Age captured quite accurately the popular response. Throughout the country, there was a collective sigh of relief from the majority of white people at the discharge of what had felt like a national burden. It is, however, inconceivable that Abo­rigines and their fellow Australians will stop thinking for long about which concepts are necessary to describe their past truthfully. Discussion of genocide will then be unavoidable. It would be a “moral, intellectual and political disaster” if academics and others were to censor themselves because minds slam shut or to refuse to discuss outside academe whether the Aborigines were the victims of genocide. Even though this book disputes all Gaita’s other interpretations of this topic, what he says here is true. The charge of genocide does hurt and does scandalise most Australians. And all those white academics, journalists and lawyers who have supported the accusation are determined to persist with it, no matter what. Aboriginal political leaders initially greeted the apology with high emotion. The visitors’ gallery of Parliament House was packed with Aboriginal identities, who gave the Prime Minister a standing ovation. Many, including Lowitja O’Donoghue, wept throughout his speech. Ms O’Donoghue, while declaring herself ‘very proud’ of Mr Rudd for keeping his promise to apologise, also took issue with the government over its refusal to compensate people taken from their families. And she warned that extra money to tackle indigenous disadvantage in areas such as health and education should not be a substitute for compensation. “How do you think the apology should be taught at universities?" 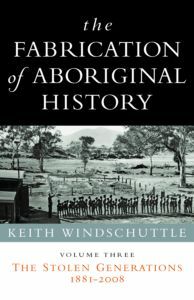 This is an edited extract from the introduction to The Fabrication of Aboriginal History, Volume Three, The Stolen Generations 1881–2008, Macleay Press, $59.95, 656 pages, published in December 2009.